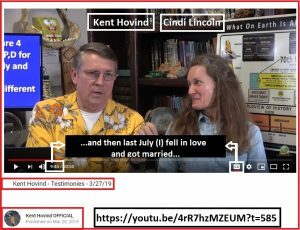 Cindi Lincoln “got married” to Kent Hovind? – Kent Hovind v. Robert Baty – The Great Debates! Home→Cindi Lincoln “got married” to Kent Hovind? 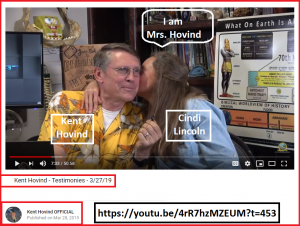 Cindi Lincoln, March 28, 2019 performance, claims she “got married” to Kent Hovind last summer. We need to be told, with corroboration, what “got married” means to Cindi Lincoln in light of the fact that it appears Kent Hovind married Mary Tocco and never was legally, civilly, as a matter of record, divorced from Mary Tocco.